Lavender-purple flowers grown as cover crop. Highly valuable for pollinating insects. 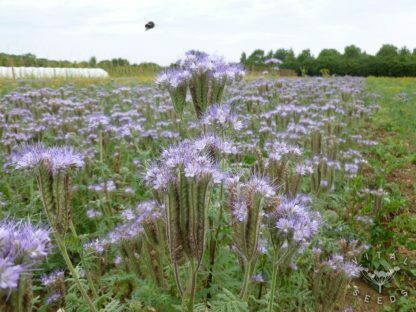 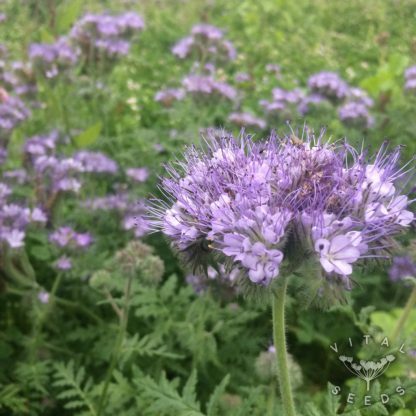 Phacelia is extremely attractive to honeybees and other beneficial insects, it provides both pollen and nectar. 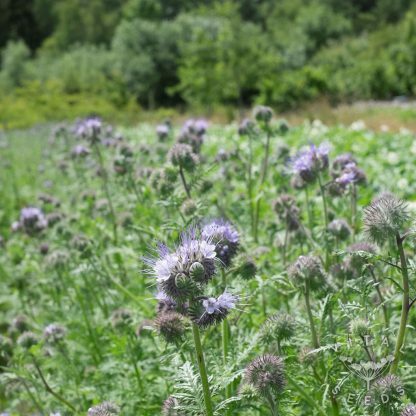 It is a quick growing annual green manure that germinates at low temperatures and has the potential to catch excess nitrogen as well. 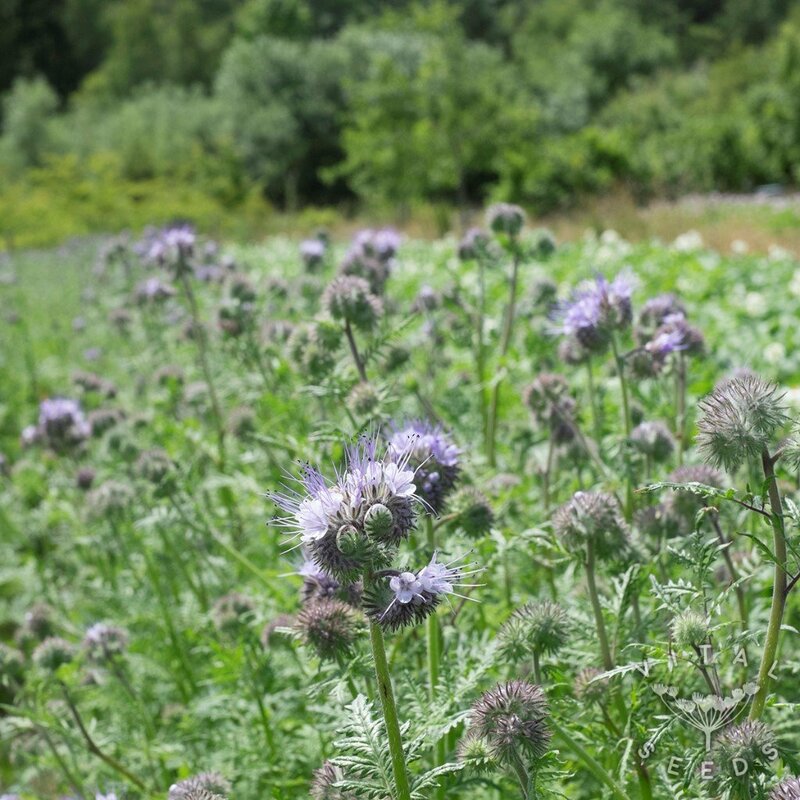 We love sowing it in between our crops and rejoice in the lovely flowers and insects that it attracts.